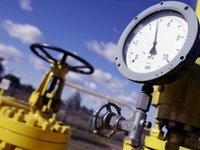 National joint-stock company Naftogaz Ukrainy has announced an auction to procure audit service as part of preparations for the issue of loan participation notes (eurobonds), the company reported on Friday. "The main tasks... is the preparation and issuance of letters of assurances for the purpose of issuing eurobonds, as well as the revision and preparation of a report on other information of the prospectus for the issuance of eurobonds on the basis of consolidated financial statements," the company said in a press release. According to the report, the preparation of relevant documents is a standard condition for issuing and placing eurobonds. The expected cost of the procurement is UAH 6.9 million, the deadline for submitting bids is April 22. According to the press release, the deadline for providing services is May 31, 2019, while the auction in the ProZorro e-procurement platform is scheduled for May 29.